After an Epic year, Callaway went Rogue. Promising distance in a forgiving driver, the Rogue borrows Jailbreak and more from its big brother. Let’s see how the Rogue and Sub-Zero fare. Callaway had a huge hit in 2017 with its Epic woods. In particular the Great Big Bertha Epic Driver earned its way into a lot of bags. On several occasions last year, I found myself in foursomes with three or four Epic drivers in play. That’s testament to a very popular driver. To follow up on the Epic, Callaway debuted the Rogue this year to much fanfare. Like the Epic, the Rogue features “Jailbreak Technology,” those two bars behind the clubface designed to produce more distance through increased ball speed. In the Epic, that technology not only captured the imagination of golfers, it also produced noticeable results. So when the announcement of the Rogue line came out in January, we took notice. The Rogue driver promised the distance of Epic in a more forgiving package. That would be one incredible combination if the Rogue could deliver. The Rogue driver is designed to do two things: promote maximum distance while increasing forgiveness over the Epic line. The headliner technology in the Rogue driver is an enhanced version of Jailbreak, which made its debut in the Epic. 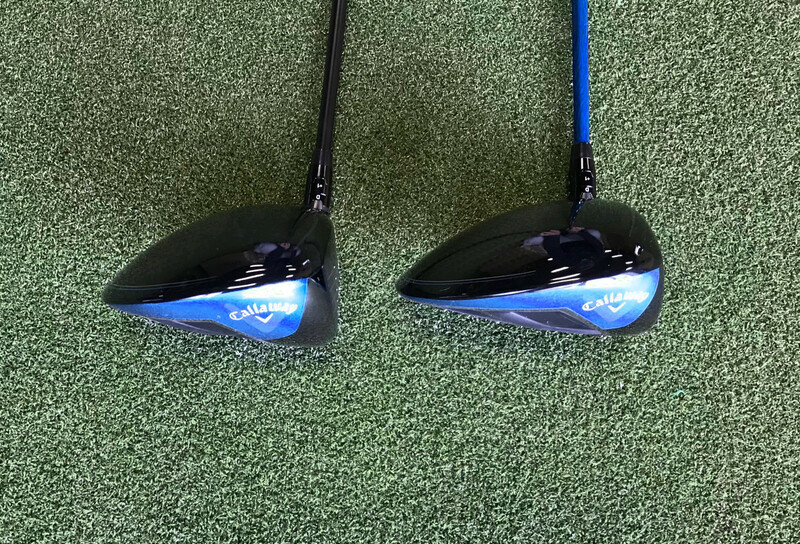 With this new version of Jailbreak, Callaway reduced the size of the stiffening bars by 25% from the Epic version and reshaped them into an hourglass form. Think of it as a “tuning” of Jailbreak to continue to enhance distance while increasing forgiveness. The Rogue combines Jailbreak with X-Face VFT Technology to promote high ball speed and generate distance. 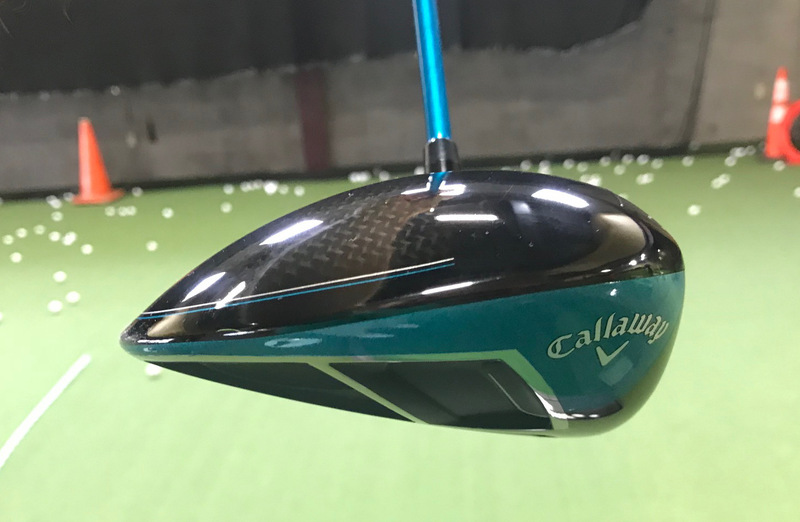 “We aligned these technologies (Jailbreak and X-Face VFT) to amplify what we call the Jailbreak Effect, which is all about promoting faster ball speed on both center and off-center hits to help golfers get more average distance on nearly every drive,” said, Dr. Alan Hocknell, SVP, Callaway Research & Development. A large triaxial carbon crown reduces weight in the top of the club while increasing MOI to increase stability and forgiveness, while a larger appearance at address enhances player confidence. The slightly triangular shape promotes straighter ball flight and forgiveness. Its larger appearance at address helps inspire confidence in those who don’t routinely hit the center of the clubface. Callaway’s Speed Step technology uses input from Boeing, the aircraft company, to sculpt the leading edge to reduce drag, promoting faster clubhead speed. The triangular head shape of the Rogue may be an adjustment for those who pine for the days of persimmon, but it is certainly not out of line with other current models on the market. The Rogue is only slightly longer from face to back than the Epic and has a slightly larger appearance at address. The front of the crown is black with the traditional Callaway chevron alignment mark. The black gives way to carbon fiber under clearcoat on the majority of the crown. This “naked” carbon-fiber look is both attractive and evocative of exotic sports cars. A thin pinstripe around the back of the crown only adds to the effect. Where the Epic was trimmed in bright emerald green, the Rogue’s signature accent color is teal. This color is a little unusual for golf clubs and gets more mixed reviews from those I’ve polled than the Epic’s striking emerald green on black. Still it’s not a bad look, just different. The elongated shape, front-to-back, is more pronounced when viewing the sole than at address, owing to the sloping crown. The Sub-Zero is noticeably less stretched from front to back and more compact. The sole on each is black with few embellishments for such a high-tech driver. (We like that.) A single “Rogue” badge occupies the center of the club, and some modest type between the anchor points of the two interior bars proclaim the Jailbreak technology within. A Callaway logo on the toe and chrome rib accents complete the sole décor. 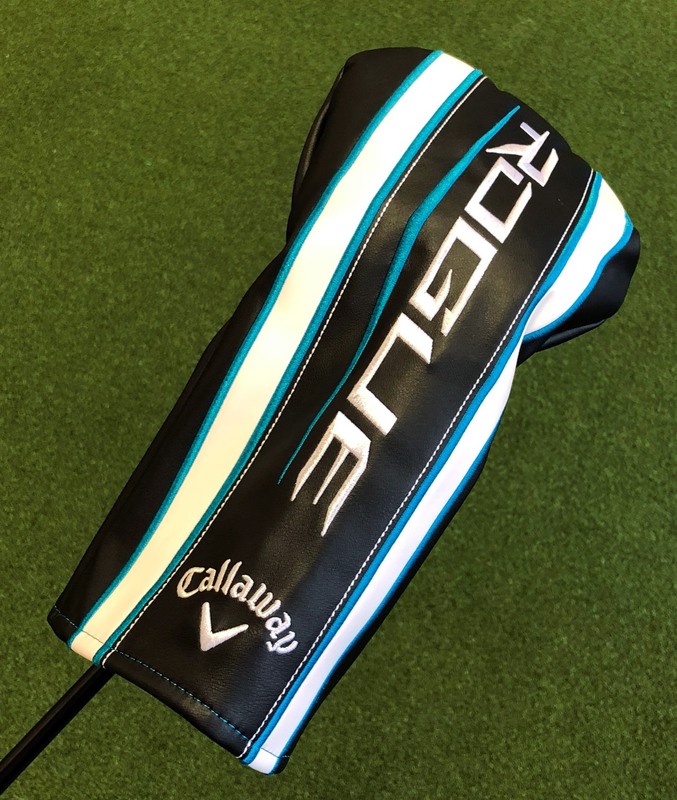 Rogue drivers come with a Callaway-branded, Golf Pride Multicompound Decade grip, with teal accents. 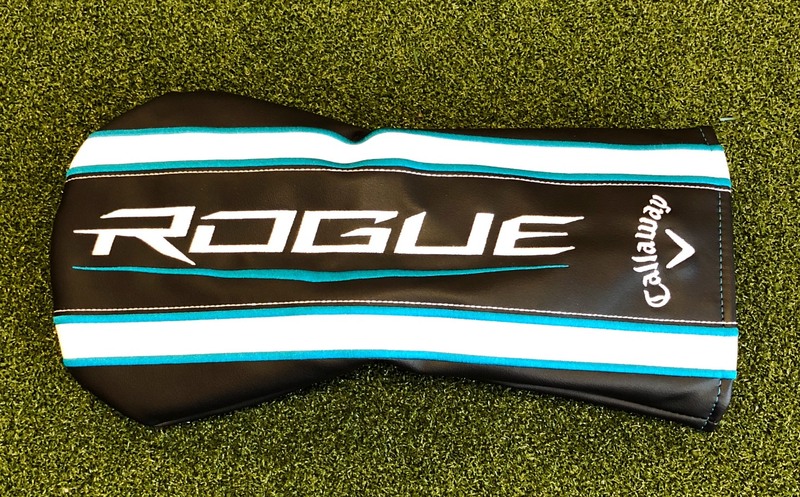 The quite functional headcover is black with white and teal piping and stitched Rogue and Callaway logos. With all the talk of forgiveness, you might understandably expect the Rogue to have a little less firepower than the Epic. Of course, the Epic was among the longest drivers of 2017 so a little tradeoff to hit more fairways might be worth it. The question for us was, how much would we have to give up to spend more time in the short grass? As advertised, the first time you set up to the ball with the Rogue, you feel like you have a good chance of finding the center of the clubface. The head is large from front to back and side to side. An aerodynamic taper from front to back keeps the capacity under the 460 cc limit, but there’s an ample clubface to give you that “can’t miss” confidence. On the range, I found the Rogue to be a very worthy successor (or complement?) to the Epic. Distance-wise, the Rogue gives up very little to its older sibling. As advertised, the Rogue provides better average distance across the face than the Epic. Mishits carry well. In fact, we found that you have to miss pretty badly before you’ll lose more than 10 or 15 yards. In our testing the Epic had a slight edge in distance produced by good swings and contact, but the variation between a good swing and a marginal swing could easily be 20 or more yards. Since golf is about minimizing your misses, that’s a pretty good argument for the Rogue. We found the Rogue to be at least as accurate as the Epic, and its added forgiveness typically produced more playable results in terms of line and distance. It’s probably fair to say that we experienced fewer big misses with the Rogue. The shape of the Rogue gives it a slightly closed look at address. We were able to work the ball to a degree with the Rogue, but it definitely favored a draw. Chronic faders will like the effect. Those who fight a hook may find that the Rogue Sub Zero sets up a little more to their liking. Side by side, the size difference of the Sub-Zero is apparent. It’s shallower front to back, deeper top to bottom, and “rounder” than the standard model. The Rogue is a truly worthy successor to the Epic. It’s a slightly more forgiving model, but it still moves the ball really well even on slightly off-center hits. The sound is a bit sharper, and the spin and launch characteristics are pretty similar with the Epic Sub-Zero. I was able to consistently get launches of about 15° with spin in the mid-2000s. I loved everything about the Rogue… except for the feel and distance on centered contact, which I’d only describe as a “strong like.” If you routinely find the center of the clubface, the Epic may have a few more yards to give you, but at the cost of forgiveness and a little workability. The Rogue Sub-Zero model isn’t as “closed” looking or as draw-biased as the standard model, but it’s a bit more so than the Epic. If you’re not achieving a 1.48 or higher smash factor most of the time with your driver, though, the Rogue may be a great driver for you. Long story short: if you’re a good player that finds the sweet spot often, the Epic produces slightly better distance and is more workable at the cost of a little forgiveness. 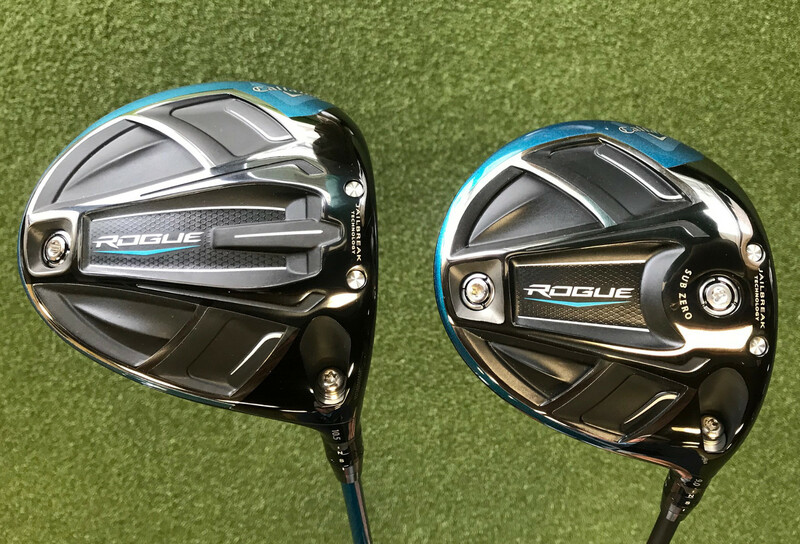 We tested the Rogue and the Rogue Sub Zero, but there is also a Rogue Draw model available for those who can benefit from a little more anti-fade bias. All models of the Rogue have adjustable lofts of -1° to +2°, allowing the player to dial in his or her desired loft. The Rogue and Rogue Draw Driver are available in 9°, 10.5°, and 13.5° lofts. 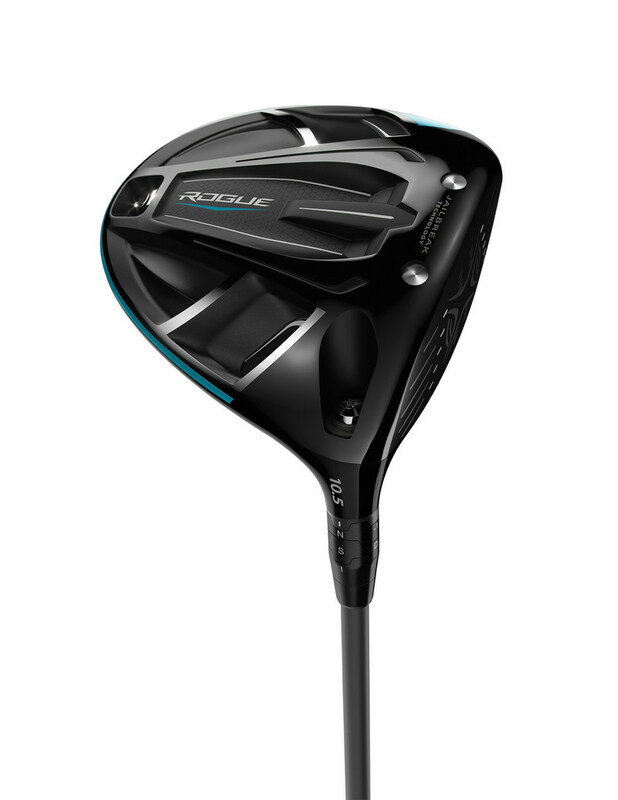 The Rogue Sub Zero Driver comes in two lofts: 9° and 10.5° lofts. Some lofts are custom options or not available at all for left-handed or female players. Check the Callaway website for exceptions. Callaway provides a number of premium shaft selections from Aldila and True Temper. Shafts come in multiple rates ranging from 40 to 70 grams. Rogue drivers will run you $499 with stock shafts. Custom options, including paint colors and up-charge shafts are also available. The Rogue, in both flavors that we tested, is a very good driver. It offers both the average and the high level player a great deal… distance and a forgiveness bonus over its older sibling. So should you run out and buy a Callaway Rogue Driver? The answer is, of course, “maybe.” The Rogue is a very good driver. From what we’ve seen this year, the Rogue is at or near the top of the class for drivers in 2018. The only issue with the Rogue is essentially that it doesn’t differentiate itself enough from the Epic. So if you already own an Epic, you’ll have to decide if the gains outweigh the cost of a new driver. We’re talking a few yards of accuracy and/or distance. The Rogue is an evolutionary step in the continuing refinement of driver technologies. It’s not a leap forward but it is a step. If you already own an Epic, you may not find enough benefit from the Rogue to justify shelling out for another $500 driver. 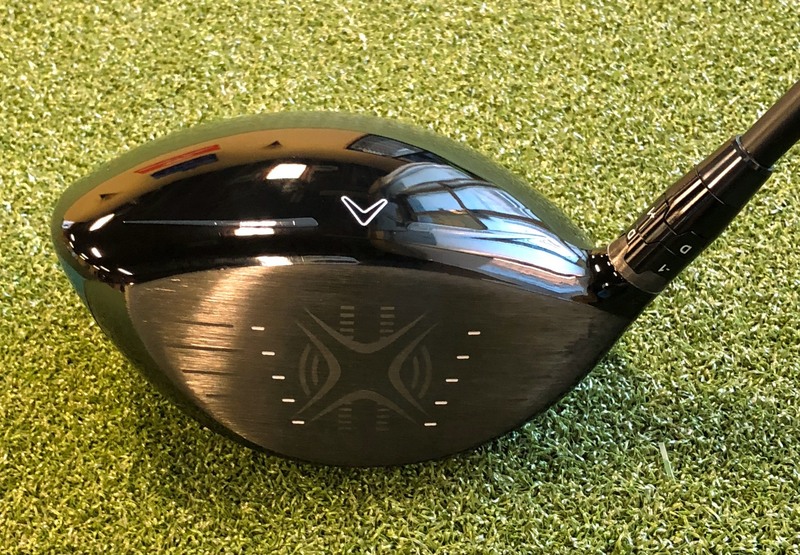 But if you are looking to upgrade from an older driver, chances are the Rogue will be a substantial upgrade over whatever you are playing today. Most players will find the Rogue to be a long and pretty forgiving driver. If you are in the market, the Rogue should be on your short list to earn a spot in the bag.